With London Fashion Week starting today at Somerset House, London, Kate Phelan has shared her range of fashion week essentials in Topshop. My personal favourite is this Metallic Tube Skirt that can look classy, sophisticated and fashionable. 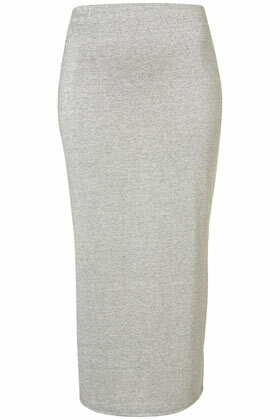 At only £26 this skirt will go with nearly everything! But I personally think with a crop top, that S/S essential denim jacket and a pair of wedges you will just rock, and feel as if you belong on the cat walk yourself! Ah I am in love! This Cameo Potion Playsuit in colour block! It’s fashionable, dressy and so stylish. It is a bit pricey at £95 but for a beautiful garment like this, it’s well worth it! With a sheer chiffon top and a contrast dagger point collar (which would look perfect with some collar clips) it has a complimentary waistband and wide leg shorts. This is a definite fashionsmusthave! Get it today from ASOS!